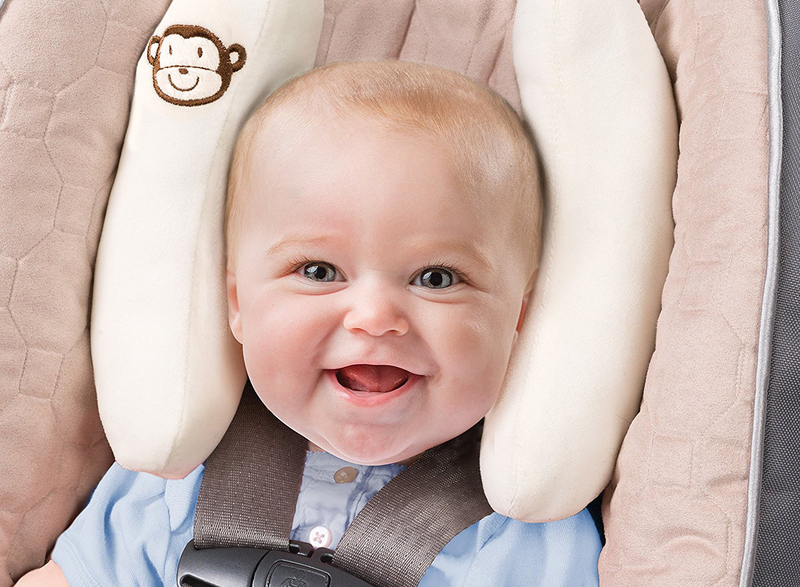 Plagiocephaly in Babies. By Philip Owen. Paediatric Osteopath. Postional Plagiocephaly (or Flat Head Syndrome) is a common condition in which a baby develops a flat spot in the skull commonly caused by the baby lying repeatedly in the same position over a period of time. 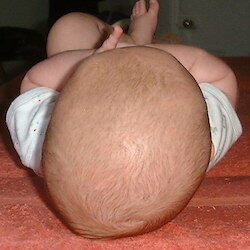 It is thought that up to half of all babies develop an asymmetry to some degree. Plagiocephaly can be prevented and treated through the use of specially designed mattress and orthotic helmets if the condition. This website will help to inform you about the causes and symptoms of Plagiocephaly in babies, and what you can do to prevent Plagiocephaly from occurring and how to treat Plagiocephaly should it occur. It will also help you detect early the onset and the signs to look out for. There are two types of Plagiocephaly that occur in babies. Find out more about both types and what to look out for. 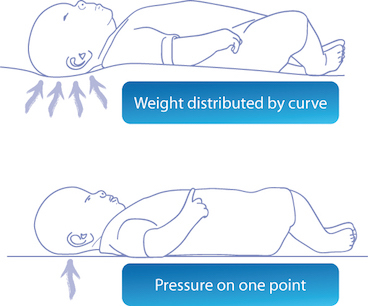 The cause of the most common form of Plagiocephaly in babies comes from lying on flat surfaces. A rare cause of flat head syndrome (plagiocephaly) is craniosynostosis in which some of the skull bones are fused. The most common type of plagiocephaly is 'positional plagiocephaly' caused by the weight of the babies head being placed on a flat surface. 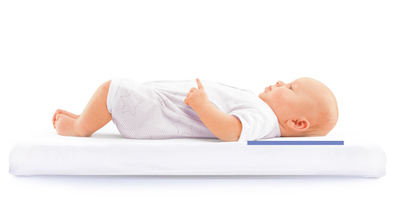 There is growing interest in orthotic mattresses shaped to fit the baby to relieve the pressure point at the contact point in the base of the skull. Read more about the causes HERE.